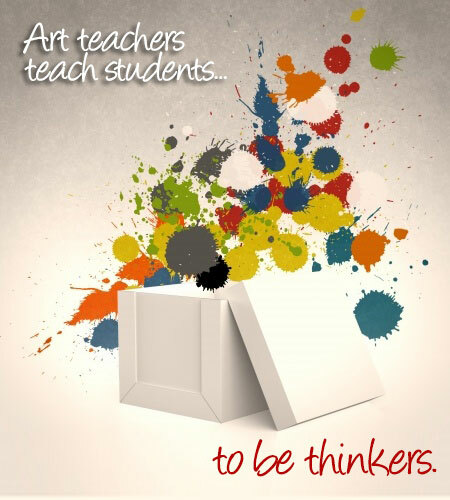 Art teachers teach creativity and innovation. They teach multiple answers to problems. They encourage mistakes and experimentation. They teach students to be thinkers – not memorizers. Art teachers are teaching the essential skills that are necessary for students to be successful in this new age. So why are we cutting the most important positions from our schools? Never in the history of mankind has there ever been a better time to be a “creative”. It is the creative individuals that are finding success today. Simply look at at the world around you, and you’ll quickly notice the opportunities that exist for those willing to be creative, to take chances, to innovate. It is my opinion that we have already entered into a new Renaissance, one in which true artists are flourishing and will be for the foreseeable future.